If you've never thrown axes, it's similar to playing darts. 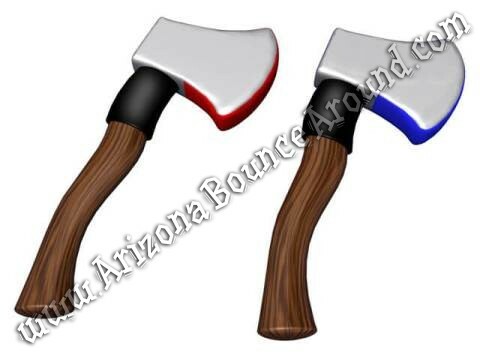 Each player takes turns throwing axes and we include 3 red and 3 blue axes with each rental. Players try to score the most points possible or you can just have fun throwing the axes as a sports game. Our Axe throwing game is designed to closely mimic the official World Axe Throwing Rules and can be played by kids, teens or adults. 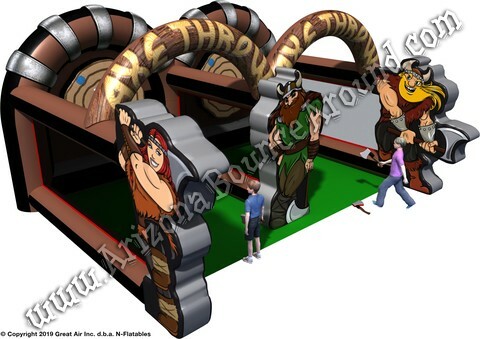 Our portable Axe throwing game is great for school carnivals, company picnics, team building or competitive games for adults. 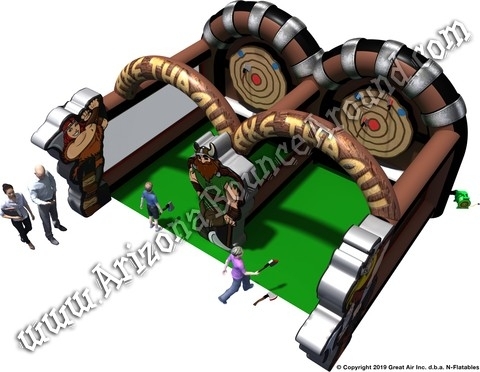 This will go really well with our Lumberjack Challenge log-rolling game.